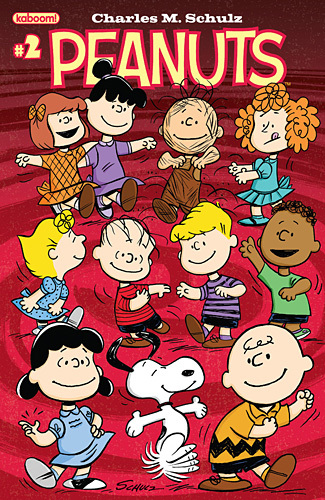 The second issue of the Peanuts comic book is available in comic book stores starting today, Wednesday, February 8. You can check out a 5-page preview at Comic Book Resources. As before, we recommend visiting your local comic book store to get this latest issue (you can find the one nearest to you with the Comic Shop Locator), but it can be ordered directly from Boom Studios, although with a hefty shipping charge.